Join us on Saturday 3/18 from 10-2 while we welcome Carolyn Schaffer from Fangango Olive Oil! 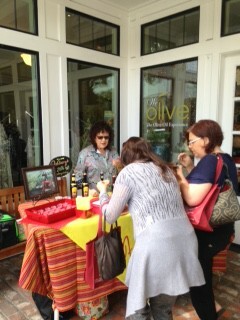 Enjoy samples of their new harvest olive oils. Listen to Carolyn tell the story of how they got started in the olive farming business. Take advantage of special pricing on Fandango Olive Oils too!